Ailsa’s travel-themed photo challenge this week is Short. 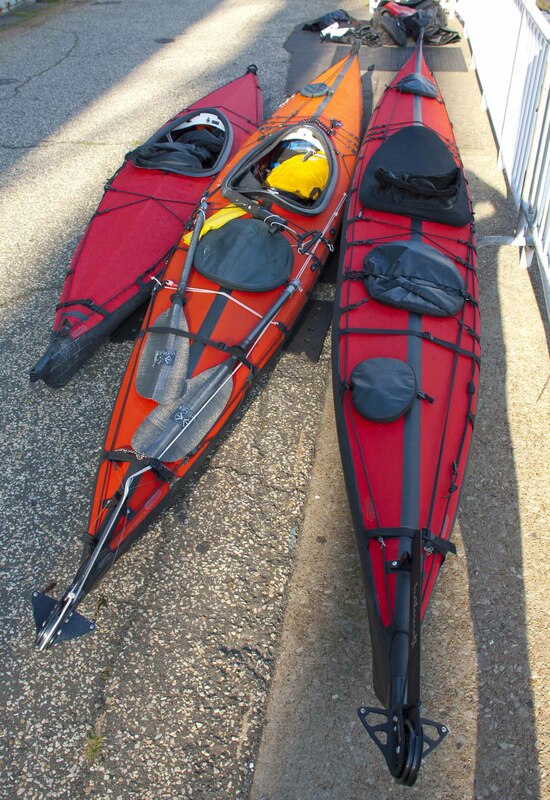 Compared to the Red Herring (a Feathercraft Heron kayak, 17′ 7″ long, on the right in the photo below), the Baby Vulcan (a Feathercraft K-Light kayak, on the left) is absurdly short for a sea kayak—only 12′ 10″. It must have looked ridiculous when I paddled it, as I did for years. This entry was posted in Kayaking, Photography and tagged Feathercraft, K-Light, Photography, postaweek, postaweek2013, Sea Kayak, Short, Travel, Weekly Photo Challenge. Bookmark the permalink. Although still long to me. Mine is 12 feet, my daughter’s 8. 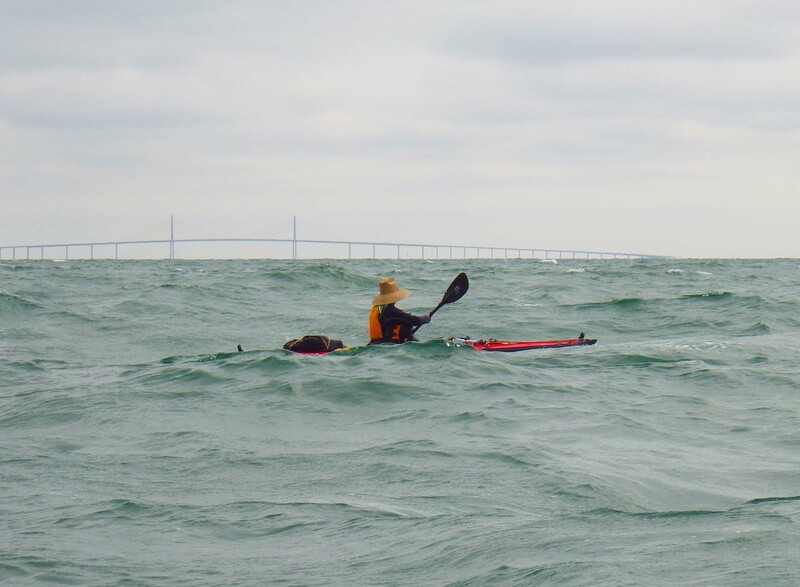 Two kayak photos together in my READER, yours on the topic SHORT and mine on the topic LAYERS. How cool is that? Count me in! Great post, Vlad. My own playboat is a Perception Whip-It (don’t laugh at me). I’m 5’6″ on a “tall day” and the boat is 8′ 10″. When I put on neoprene booties for the first time in cold weather, there was hardly any room for my feet in the bow. The boat got poor reviews, but I found it ideal for paddling the small lake in my backyard. The boats that you and Johna use seem so perfectly suited for you. Good luck training for the Everglades! I think that would suit me fine! 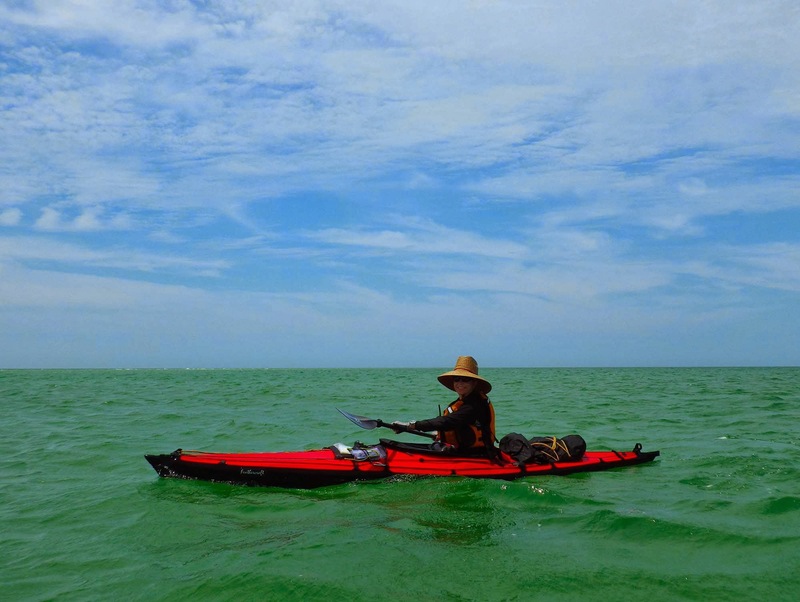 Sea kayaks look so businesslike, fit for purpose and reliable, long and short. Exactly. I know they have it here.. it’s just getting to it. :-) Yes, that can be a problem (for us too!). Hi Vlad, Johnna – I’m considering a portable kayak for the first time, looking at Feathercraft and Folbot for starters. Any advice for a 5’6″ over-50 woman with a reconstructed shoulder (ie, held together with surgical steel)? It will be used primarily on flat water. I’m concerned about weight, of course, but also time to dismantle. I’ve read that they shouldn’t be packed when wet. Your thoughts about that? Thanks in advance! Until a few years ago I would have recommended one of the shorter Feathercrafts, because they offer great performance and I am familiar with them. But I have to admit they are not the easiest to assemble—this was not an issue once upon a time when they had no real competitors, but now they do—and they are expensive. 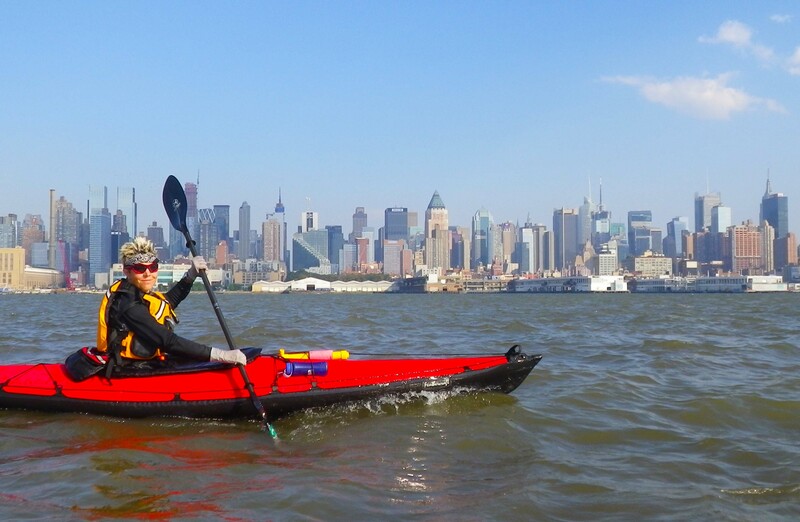 The two classes of boats you want to consider are inflatable kayaks and folding (skin-on-frame) kayaks. Inflatable kayaks are definitely easy to assemble—you just pump them up and go. They are also light, although in many cases not as light as you might imagine. Or rather, the lighter ones are not particularly sturdy or durable, whereas the more durable ones—the ones you won’t puncture if you hit a sharp tree stump—are made of heavier material. 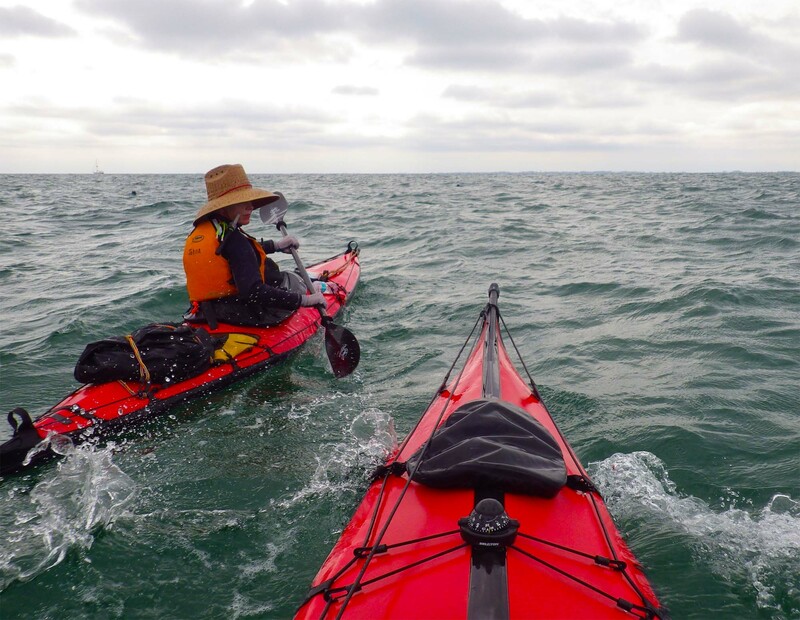 In addition, most inflatable kayaks are not all that efficient to paddle, especially in wind. If I were you, I would probably look (as you are doing) at the shorter folding kayaks. I would focus on the ones that you assemble by inserting the entire preassembled frame (or frame halves) into the skin that is opened lengthwise along the deck seam. That’s a more modern assembly strategy that several companies (but not Feathercraft) have adopted. The Folbot Cooper, for example, works like this. In the last few years, I’ve seen ads for cute little boats from several other manufacturers that would seem to fill the same niche, but I don’t have any experience with them. Yes, you should dry the skin before packing if possible. Packing it wet does not damage the skin in any way directly, but left that way may allow mildew etc. to grow. Thanks, this is good to know and useful. I’m not in trusted in an inflatable, and so the skin on frame boats are what I’m thinking about. The assembly process for some does seem rather daunting, and I like the idea of having ore- assembled frame halves like you’ve described. I have a Perception playboat at home and the use of a variety of touring boats at the boathouse, but want something I can use for out of the way trips. I suppose the next step might be visiting some shops and having a try at assembly/disassembly! Thanks for your feedback, best Babsje. Ah, good point. A trip to the Carolina’s would exceed the price of the boat, but then again, considering the wicked cold in New England, there are worse places to spend a few winter days than the Carolina’s! Thanks again.